The Mandolin deck is the only Bicycle brand deck that provides maximum flexibility in gaffs and is specifically designed to look similar to the Bicycle Rider Backs. 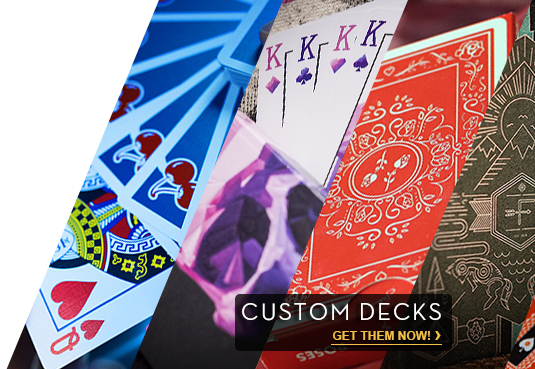 Mandolins meet the highest quality standards of stock, moisture content, pliability, finish, cut, durability, and handling of any current mass market USPC deck in the world. They are available as Svengali, Stripper, Invisible, Short and One-Ways in all values.